Rubber grass mats have remained a consistently popular surfacing option for many years as although they are simple, when produced properly and installed correctly they are a neat, effective and economical solution for play surfacing. 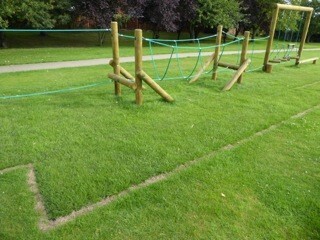 It certainly is not unusual to see poor examples of grass matting that have been installed without enough care being given. It is also true that as a surface, they are only as good as the prepared ground they are laid onto as they will always follow the natural contours of the earth. 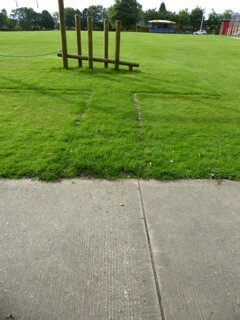 If you install grass matting correctly, they have a much longer shelf life! As a result, it is always lovely when clients appreciate the care and attention our installers take in their work as in this recent example of images and comments. After looking at countless grass mats in Lincolnshire and surrounding counties, I did not believe they could possibly be as good as you told me. In fact, I told the Management Committee not to expect too much. I take it all back! As you will see from the attached photographs they are just as you told me. You laid them in them in the last week in June and they have been cut weekly during the last few weeks. Thank you; we are very pleased. Our EcoSmart and FireSmart products allow the grass to grow through and provide a softer landing than regular safety tiles. For added safety, we recommend that SmartPlay is used in addition to either EcoSmart or FireSmart. SmartPlay shock pads are used underneath grass mats and offer an enhanced safety surfacing system for natural play environments. If you’d like to discuss a project and find out more about how PlaySmart install grass matting, please feel free to get in touch! You can reach our experienced team directly on: 01564 742 811. 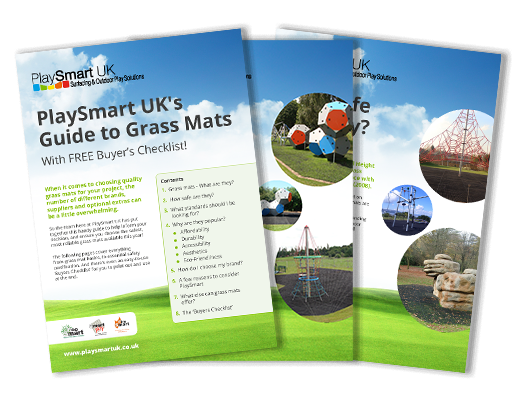 Alternatively, why not take a look at our free guide to grass mats? You can find out more by clicking on the image below to download.